Instagram users do more than just post selfies – some track food intake and are even held accountable by followers when they are trying to meet healthy-eating or weight-loss goals. 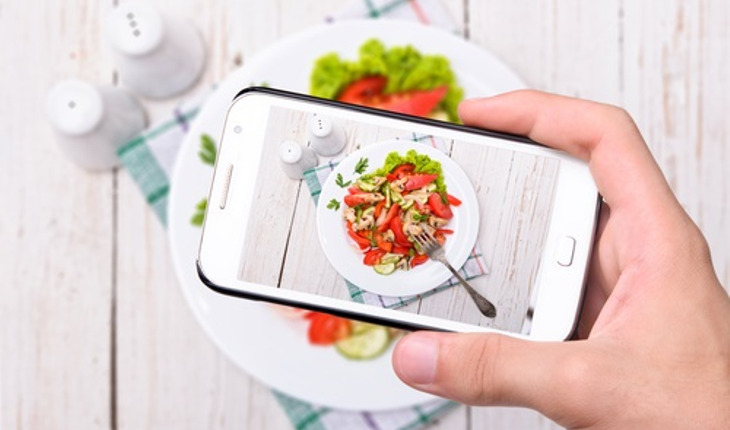 Researchers from the University of Washington conducted in-depth interviews with 16 people who consistently record and share what they eat on Instagram; the interviews focused on the benefits and challenges of using the social media platform to achieve their eating and fitness goals. The research team will use the results to inform the design of tools to support healthy behaviors. Instead of simply using a traditional food journal or app that requires users to write down or log everything they eat, the interviewees snapped pictures of what they ate in a day — from bowls of healthy fruit to the burrito they scarfed in the car — and shared them on Instagram using the #fooddiary or #foodjournal hashtags. Additionally, having a visual account of everything one eats in a day — both in terms of volume and quality — can help people spot trouble. The interviewees said that social and emotional support from other Instagram users helped them stick to their own tracking and healthy eating goals, and many strove to provide that support for others as well. In some cases, feeling accountable to other Instagram users and followers caused people to be more honest about their eating habits. One woman who previously used the MyFitnessPal app to track her diet said she would make excuses to herself about why she didn’t need to log a bag of chips because it was so tiny. Because Instagram Captions allows one to create different accounts for different purposes under the same user profile, people reported that they could easily find communities and followers with similar interests by using food tracking, weight loss or healthy eating hashtags — and could avoid overwhelming friends and family who weren’t interested in seeing pictures of everything they ate. That differs from Facebook, for instance, which doesn’t allow for multiple accounts or identities.